The place Off De La Latina in Madrid is new, cool and holds about 100 people and started with a program including Norwegian artists and their exchange with Spanish musicians. Unfortunately I missed Nils Petter Molvaer there, having to go to London for some business, but when violinist Ola Kvernberg played there with his trio (Erik Nylander, dr and Steinar Raknes, b) I went for two reasons: 1) Ola is a great player and composer and his latest record Northern Tapes (Jazzland Recordings) a true pleasure to listen to and 2) because of the promise to see the trio jamming with Pablo Martin Caminero, Josemi Carmona, Enriquito and Bandolero. The evening started with the Trio and they played songs from the last album plus some other Ola Kvernberg compositions – powerful and grooving.Ola is probably next to Tobia Preisig the leading young violinist in Europe and proved so again in this show, perfectly supported by his sidemen. 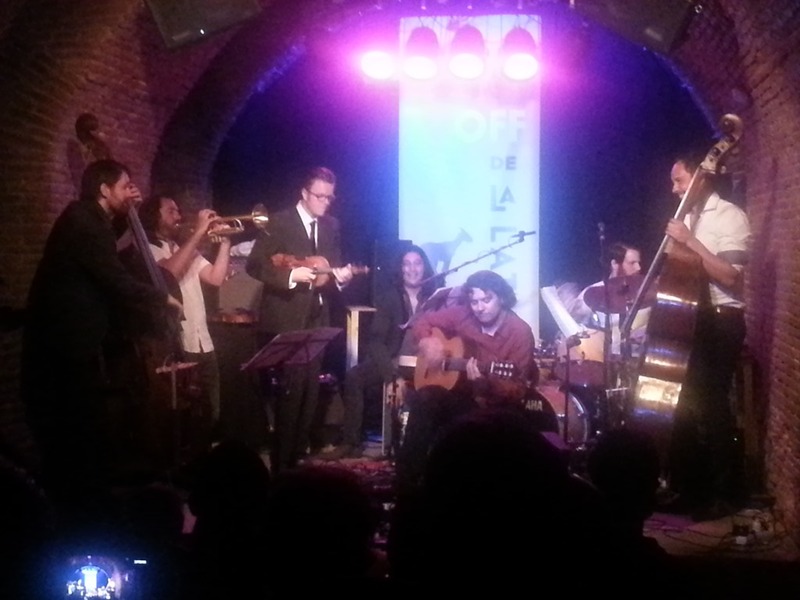 The second part of the show the trio was joined on stage by composer and bass player (and musical director for the evenings cooperation) Pablo Martin, guitarist extraordinaire Josemi Carmona, young trumpeter Enriquito and percussionist Bandolero, making himself more and more a name, not only in flamenco. 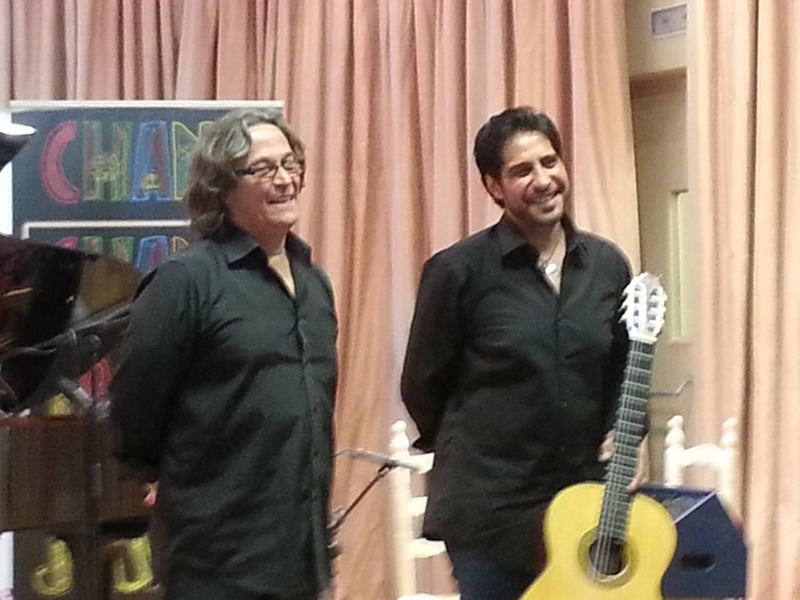 They performed compositions by Pablo and Ola, as well as Jorge Pardo and Josemi – a powerful mix of northern cool and southern temperament, with Ola, Enriquito and Josemi exchanging soli of the highest level. Northern Tapas of pure excellence!! Two days before this great gig I went to a little showcase of Chano Dominguez and Nino Josele – introducing their forthcoming album Chano & Josele, which will be released internationally in September, followed by dates in Europe. The two are both know for their impressive musicianship and skills on their instruments – on their new album and in this showcase they are playing originals, as well as standards and other material, fitting a jazzy recording of piano and guitar, which of course has a flamenco influence, but is first of all a jazz recording.Just listen to their version of John Lewis’ Django and you will understand what I mean. Somi came to Europe to play 3 album release concerts – Paris, Berlin and London. The repertoire came from The Lagos Music Salon, the just released first album for OKeh Records and musically a triumphant mix of jazz/African/soul and R&B. Difficult to express how great a singer the young lady is – amazing control of her voice and deep-felt emotions give meaning to lyrics telling stories of the everyday African life. A modern story teller stepping into the shoes of Nina Simone – just check out her version of Nina’s 4 Women, which becomes 4 African Women … and the rest of the show and album are similar touching and great. One for the future! 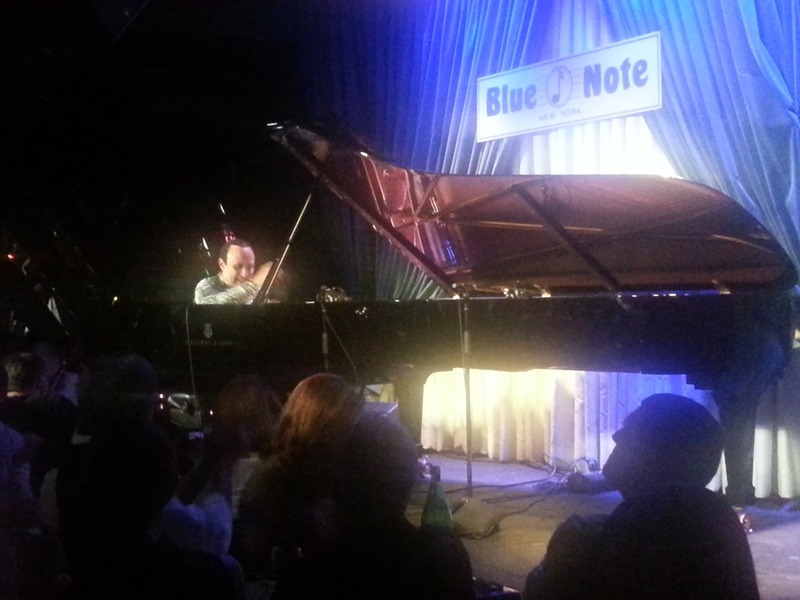 Michel Camilo live solo at the Blue Note in New York ….. a first for him in that club, which has seen him perform from duo to Big Band, but never solo!! With the Latin Grammy winning album What’s Up? as the base of the repertoire, he delivered two astonishing sets, proving once more that he is one of the most incredible and powerful pianists around today, but even on the more delicate ballads he played that night, he showed amazing touch and emotion. Michel is always a show stopper, but never for entertainments sake – there is always a deeper musical meaning in the power he shows off …. just check out his solo version of Paul Desmond’s Take Five – the left hand is simply beyond and he told me that it took him almost a year to get the song ready in the way he heard it for solo piano – now one of the highlights of the show. More form my short trip to New York in the next blog. 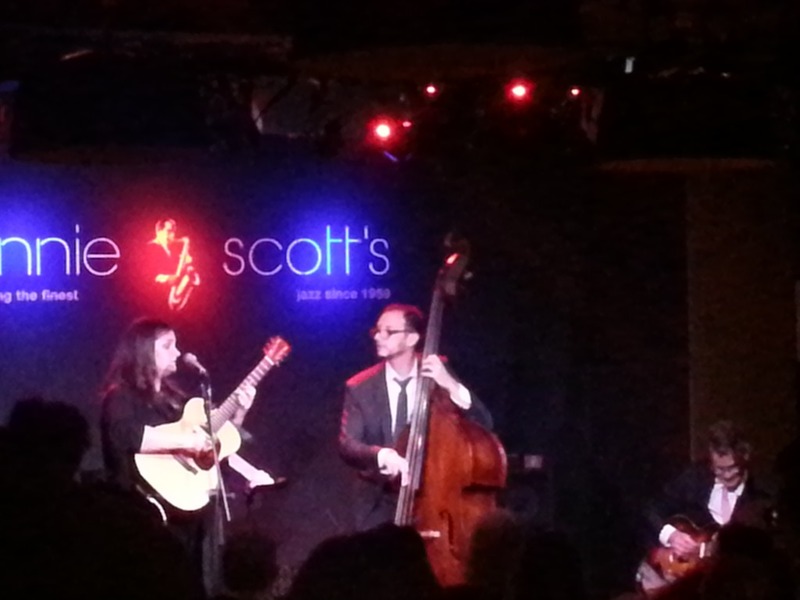 and with MP3 I don’t mean the sound format, but the Madeleine Peyroux Trio, which I saw last Friday at Ronnie Scott’s in London. Madeleine, vocals and guitar, with Jon Herington, guitar and Barak Mori, bass – a trio that has been part of some of Madeleine’s previous groups since 2006 and therefore now has a great understanding and communication between them. The intimate setting suits Madeleine well – even so she has more focus on her vocal delivery, she seems more relaxed in the small group and has the full support of both musicians, which add sounds and fill spaces with ease. Herington is an excellent guitar player with a jazzy sound, who played with Steely Dan among others, his little soli showing great touch and feeling and Mori a solid anchor in the songs with beautiful solo efforts which are surprising and musically good.They perform together songs from all of Madeleine’s records, the odd standard and all sounds great and personal, as if she was singing just for you. The small venue surely helps, but I have been told that she did extremely well with the same set up at the Norwich festival in front of 1500 people. Let’s hope that she will tour with these two guys more often now – it seems that they get the best out of her and when she is at her best … she is very special indeed!! !